… or for the home studio owner and audio engineer looking for a great way to capture stereo recordings without risk of phase cancelation, and while being able to preserve mono. 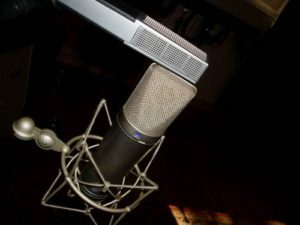 We’ll also take a look at the benefits, the history, theory, and practicality of this method, and how to get this simple but complex technique up and going with the right microphones. 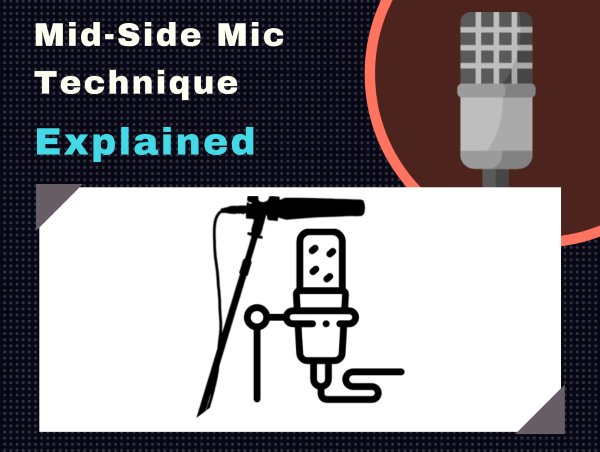 What is Mid-Side Microphone Recording? 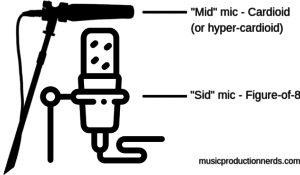 Mid-side (or M/S) microphone is a stereo recording technique that presents an alternative to the typical matched pair microphone recordings. When recording in stereo, a common approach is to arrange two matched microphones in the so-called “XY” configuration. There’s a fairly obvious reason for this pattern, as it closely mirrors how human ears receive sound. And this is one of the motivations behind any form of stereo recording technique. And although the method is admittedly more complex than standard XY pattern recording, as we will see, you might find that it makes your recordings sound bigger and more present, without some of the unnatural drawbacks of utilizing audio DSP effects. But before we have mid-side technique explained for us—what it is, how it works, how to configure it in your studio—let’s take a look at its history. Mid-side microphone recording has actually been around for a long time. The system was devised by the audio recording innovator Alan Blumlein, an engineer for EMI who pioneered the development of stereo and surround sound, which includes, among other inventions, another stereo technique simply called: The Blumlein Recording Technique. Blumlein patented mid-side technique as far back as 1933, and it was actually employed in some of the earliest examples of stereophonic recording. Today, mid-side is widely used in broadcast applications, mainly because its high degree of mono compatibility makes it ideally suited for reproducing on mono radio and TV speakers. Certainly something to keep in mind when applying forethought to your recording sessions. 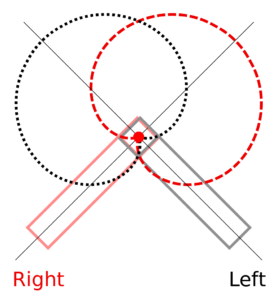 Mid-side is referred to as a “coincident” recording technique. This essentially means that both mics are positioned as closely as possible to each other. So how then does this result in a stereo image, considering that the mics are so close to each other? Instead of creating the stereo image via time delays, as in the case of XY recording mid-side captures the stereo effect via the difference in loudness between the mics used. Mid-side technique utilizes a mic set to a cardioid pattern, although an omni pattern may also be used. This microphone is positioned in a way that captures the sound source directly. Hence the term “mid,” as it is the microphone literally picking up the sound coming from an audio source right before it (instead of to the sides). Consequently the side signals are picked up by a bi-directional mic, which is set in a figure-of-8 pattern. When decoded by a mixer or a dedicated decoding plug-in, the sounds of both mics combine to produce a stereo image. XY recording is quite a useful technique that has been–and can still be–used to produce great sounding recordings. But the main drawback with the technique is that it essentially limits you to the sound that is already recorded. This goes for the level balance between the two mics used, as well as the stereo image. Collapsing the two mics to mono reveals another drawback. In some cases, summing to mono will result in phase cancellation that will render a recording useless. Mid-side technique provides more control over the width of the stereo image as compared to other microphone recording techniques. Better still, this method allows for later adjustments to the stereo spread and the volume balance, even after the recording is done. Mid-side is actually pretty simple. In the most basic configuration, the mid microphone is designated as the center channel. This picks up the majority of the sound emanating from the source. The side microphone takes on more of a support role, in that it is tasked primarily with picking up the sound from the sides of the source. This mic essentially provides ambience and a sense of direction to the signal by increasing or decreasing signal level as needed. While the mid mic is usually set directly facing the source, side mics are aimed at a 90-degree angle, and set in a figure-of-8 pattern. This allows the side mic to capture the ambient and reverberant sounds coming from the sides. Some of the more astute among you will realize that the figure-8 pattern of the side mics results in the two sides being 180 degrees out of phase with each other. This basically means that one side of the mic creates a negative charge that is equal to the charge on the other side. The front of the mic for its part creates a positive charge, and is pointed to the left of the sound source. In this configuration, the rear or negative side is pointed to the right, resulting in a noticeable stereo image. The primary benefit of mid-side recording is how well it livens up an audio source, adding spread without the need for DSP like software or hardware reverb units, or other esoteric recording techniques or equipment. While some might argue that the steps involved in mid-side recording are esoteric or somewhat complicated in themselves, they are actually quite easy to implement. Furthermore, the results are undeniably impressive. Another benefit of mid-side recording is how easily the recorded audio can be adjusted after the fact. With most types of stereo recording, you are essentially locked into the stereo spread as it was originally captured. With mid-side technique on the other hand, you have a great deal of flexibility with regard to how wide or how narrow you want the stereo recording to sound. Finally, mid-side recording technique results in tracks that are truly mono compatible in every sense. With most every other type of stereo recording, there is always a risk of phase cancellation when the signal is collapsed to mono. This can result in an unwanted phasing effect that makes it unsuitable for playback on mono systems. With mid-side recording, both side channels are out of phase with each other. When the signal is summed to mono, these cancel each other out, leaving only the mid mono signal. This results in a clearer and more present sound that is truly mono compatible. In traditional XY recording, two matched microphones are used to create a consistent stereo image. In contrast, mid-side recording utilizes two different mics, although two of the same type of mics may be used as well if they are set to different pickup patterns. The mid microphone that is primarily used to capture the sound source is set in a cardioid or hyper-cardioid pattern. In some variations of the mid-side technique, the mid mic many be set to an omni or figure-8 pattern. Side mics are always set to a figure-8 pattern. This mic is aimed at a 90-degree angle, slightly off-axis from the source of the sound. 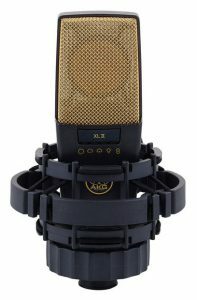 You may find these microphones in our studio microphone guide. In fact, the technique could be useful even for applications wherein you don’t necessarily want an exaggerated or obvious stereo spread. Mid-side can also be used to great effect for overhead drum recordings. Mid-side recording has also found use in ambient or field recordings, and for broadcast work. Finally we get to the good stuff… the how. Despite it being said that the technique in mention is a little more complex than your typical matched pair technique, implementing mid-side technique in your own home recording projects is actually quite easy. As mentioned, you will need two mics, which could be two different types, or the same two types of mics set to different patterns. They could also either be condenser or dynamics. You will have to set up both mics so that the signals captured by both are recorded into two different tracks in your DAW or multi-track recorder. In order to hear the stereo image accurately, both tracks will have to be matrixed and decoded. Matrixing and decoding can be done in your hardware mixer (such as a simple USB audio mixer) or in your DAW. this will let you hear the sound as captured by the side mic set to a figure-8 pattern. You can take a look at this video which illustrates it in motion for you using the AKG Pro C214 for mid. and the two panned channels from the side mic. By setting the levels of these three signals, you can create the stereo image that you want. You will notice that the sound from the mid channel is in mono. In order to get the stereo image, you will have to blend in the two side channels. What’s really cool about this is that simply increasing or reducing the blend of the side channels in the mix will give you more or less stereo width. The effect can be pretty impressive to be sure, and you get the added benefit of no phasing or added CPU overhead. Mid-side technique is one of the most effective ways to add some stereo width to even the most basic recordings. There are many more ways by which this could be implemented, and most of them can produce some pretty amazing results. Check out the Blumlein recording technique for another way. Now that you know the basics of mid-side technique, we encourage you to experiment and find out how it can bring life to your recordings.